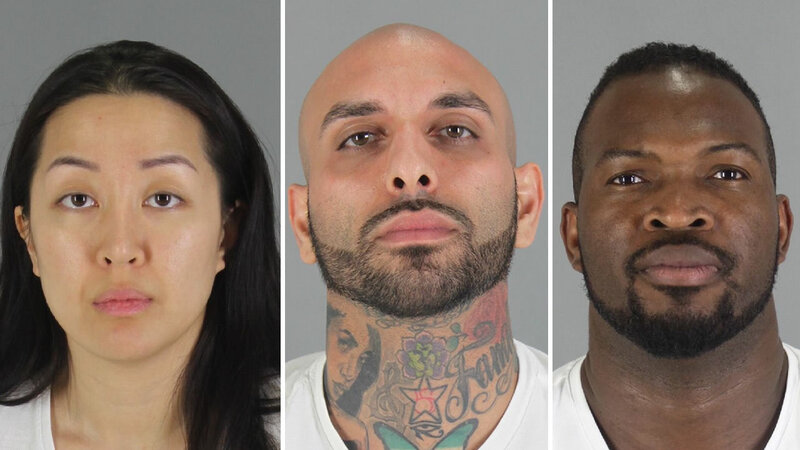 A judge has ordered that the children of a murdered Millbrae man be removed from the home of his ex-girlfriend, who's suspected in his death. It's a story you'll see only on ABC7 News. REDWOOD CITY, Calif. (KGO) -- A Peninsula murder mystery is now entwined with a custody battle. Two children were removed from their Hillsborough home where they once lived with their mother. She's now charged with killing their father. It's a story you'll see only on ABC7 News. The two children belong to Tiffany Li and Keith Green. She's in jail and he's dead. The district attorney's office says the kids are now with Green's mother. But on Friday, Tiffany's mother struck back. Juong Li and her lawyers went to the courthouse in Redwood City to fight for custody of her grandchildren - a 2-year-old girl and a 4-year-old girl. "It's our position that they were kidnapped unlawfully by our government," said Tiffany's attorney Geoff Carr. He's talking about her two children, who were suddenly taken into protective custody Thursday by district attorney investigators. Tiffany, her current boyfriend Kavyeh Bayat, and Olivier Adella are all in custody and charged with murdering Green. "They issued a warrant for children, seizing children, one from home and one from school," said Carr. Tiffany's mother, who resides most of the year in Beijing, has been caring for them in the Hillsborough home since her daughter was arrested last Saturday during a SWAT team raid at the house. Green's body was found May 11 in a field in Sonoma County. He disappeared in April when he went to the Pancake House in Millbrae, telling his roommate he was going to meet Tiffany. Green and Tiffany had an acrimonious break up when he discovered she was having an affair with his friend Bayat. Lawyers for Green's mother, Coleen Cudd, who lives out of state, asked the court to give her custody of the children. She said Tiffany's mother "should be considered a flight risk." "They sought to get a warrant based on a false allegation that Mrs. Lee Sr., the grandmother, was not a citizen of the U.S., which she is," said Carr. Cudd "feared for the safety of her granddaughters." She had reason to believe "Tiffany would herself harm the children or instruct others to harm them." The judge issued warrants ordering authorities to remove them from the Hillsborough home. The judge Friday denied Juong Li's motion to reverse the protective order. A formal hearing will be held next month.